contact xoar for retailers or contact tower hobbies. $70- $100 per prop. you have to drill out the mounting holes xoar are made in germany. I'm waiting on a recoil starter but once I get it I will let you guys know how these work out. With a set of blade covers and a polo shirt it was still under $180 a prop. If you didn't order the extras I did it would be under $150 each after shipping. Very light weight (~350 grams) and only 8 grams difference between props. Had a local gunsmith/machinist bore the 5/16" and 7/8" holes. he made me a drill guide for the 5/16" holes if anyone needs it. 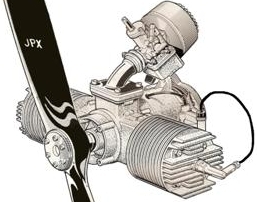 It's my understanding (from the factory website) that the Mejxlik propellers are a hollow core propeller with a solid hub. Personally I would not consider the use of this propeller on a Lazair. A friend read on an RC forum that these props can disintegrate if they strike anything. Mounted on a Rotax 185 running at 5500+ RPM's, you might want to reconsider their use on the Lazair. Spend some extra money on a tried and proven propeller, Prince P-Tip 34x10's. These propellers are routinely used at much higher power levels on model aircraft. A large model doing 3d aerobatics will subject these props to immense gyroscopic forces that a Rotax 185 on a Lazair will never see. Mejzlik props are indeed hollow with a solid carbon fibre hub. I am not terribly concerned with what they do if they hit something as any prop strike is uncharted territory regardless of prop design. I wish I still had the picture of it but what sold me on Mejzlik props was an engine failure I witnessed. One of the large scale model airplane guys at our local club had a crank failure due to a manufacturing defect in the keyway on the engine. The prop and remaining part of the crank tore through the cowl then passed over the wing and tore some rather substantial chunks out on its way. We went looking for the prop after the plane was safely back on the ground and we found it with one blade embedded into the ground up to the hub. To get the prop out of the ground we had to rock it back and forth a bit to free it from the hard clay but it came out. The prop didn't have a mark on it. Well ok then. Let us know how they work out for you. Very little change in carb tune, just a touch richer on the highspeed. Both engines now peak alot closer than they did with the biplane props. Peak RPM is about 5300 which is what the prop calculators predicted. Not much unloading in the air. I'll have to fly with the GPS to see how much the climb rate has increased but it certainly seemed higher. nice find! post some pics of the mods you did to mount it to the cranks to complete the thread. always good to see cutting edge tech welded to a lazair. I used the standard mount that the biplane props used. A flange mounted on the shaft and a crushplate with two 5/16 AN bolts. A local gunsmith bored the hole to match the biplane props. Luckily he had worked with carbon fibre before and had no problems. Definatly improved the performance. I used less fuel in 1.4 hours tonight as I normally would have used in about an hour. Climb rate increased about 75 ft/min. That's ROCK SOLID info George vs. simply "what you think". Proof of your experience and knowledge is shown in action here ! Here is a short video of mine.